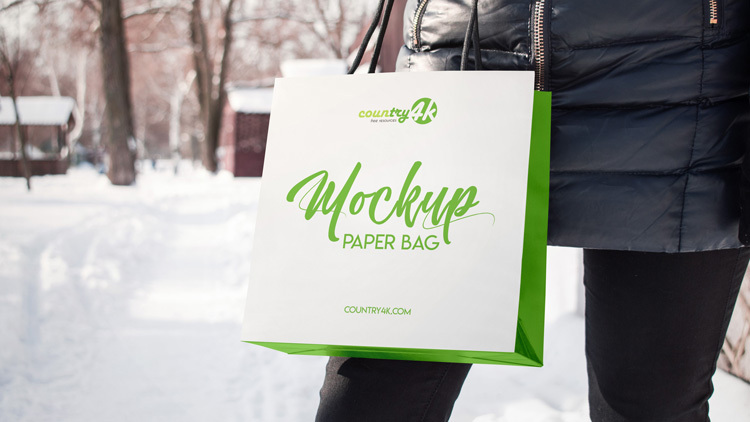 Today we are here to present you the Free Paper Bag PSD MockUp in 4k for a photo-realistic presentation. Post advertisements, logos, custom graphics, illustrations, or other design elements using our PSD mockup. After all, with the help of our paper shopping bag, you can easily demonstrate your brand or custom design. It contains everything you need to create a realistic look for your project. At the same time, PSD mockup contains layers of smart-object and has a high resolution of 4k. Add your own graphics to the layers of smart objects to showcase your design.